Of course they won’t be doing what the Battlemech down south is, pew-pewing in all directions. It’s just a nice, visually arresting image that conveys the power of machines. 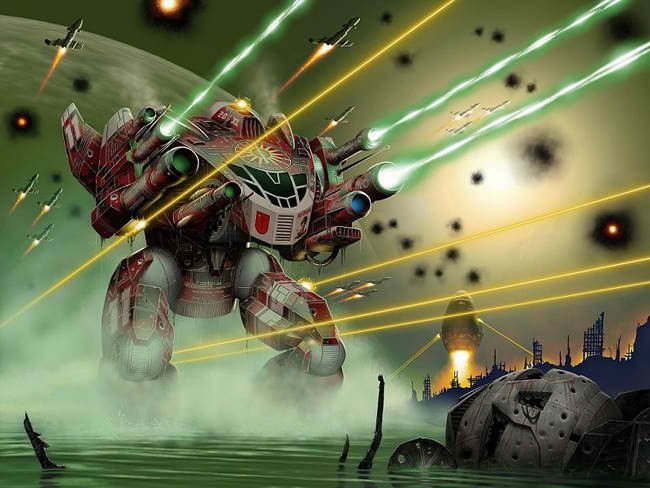 Besides, Battletech rules. Anyway, the big news is scientists in Israel and Europe are hard at work creating robots to take over the agriculture business. Considering world population isn’t going to dip anytime this year, robots couldn’t have come sooner. Lucky for the labs and universities involved with the effort, building robots isn’t as difficult as it once was. The problem scientists and engineers are now facing with regards to robotic application to agricultural tasks is the AI. Israeli engineers from Ben Gurion University are already tackling the problem, since a full fledged AI leads to independent robots that specialize in such sundry pursuits as fruit picking and caring for plants with the same artfulness as humans. Of course, as for when robots will be working in a farm near you remains in the distant future (give or take 20 years). It is, however, a necessity to improve the efficient cultivation of vanishing farm land.